President Tsai Ing-wen said Sept. 5 that Taiwan and ally Guatemala share a long-standing friendship, and the government is committed to deepening and expanding bilateral exchanges across the board for the benefit of the people. The two nations have strongly supported each other over the years, Tsai said. This healthy state of affairs is reflected in reciprocal visits by high-ranking officials and frequent exchanges in sectors like agriculture, education, infrastructure and medical care, she added. Recent examples include Tsai’s dinner meeting with Guatemala President Jimmy Morales in Paraguay during her official trip to the South American ally last month, and recently completed restoration of a sea turtle conservation center set to help boost the Central American nation’s tourism sector and promote marine resources sustainability. 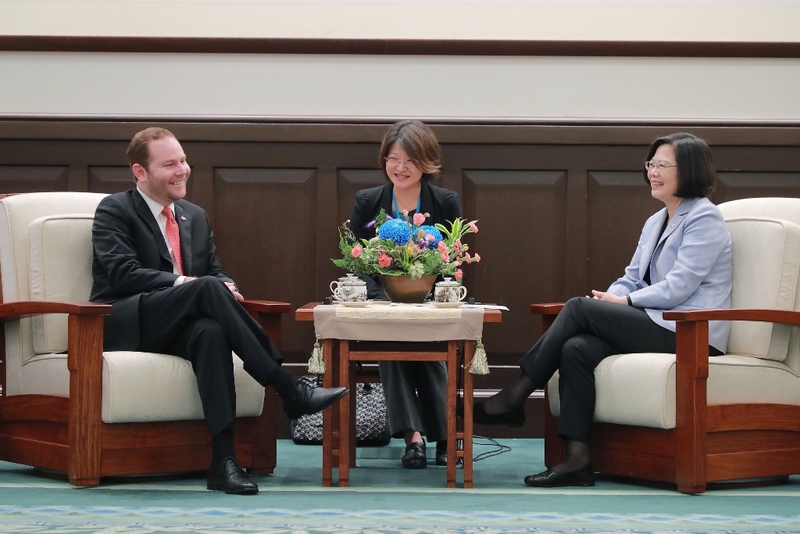 Tsai made the remarks while receiving Alvaro Arzu Escobar, president of the Guatemala Congress, Congressman Juan Jose Porras Castillo and their wives at the Office of the President in Taipei City. The group is in Taiwan on a five-day cultural and political fact-finding mission. According to Tsai, the government is working to further cultivate the bilateral business and trade relationship. This involves organizing several successful market research and procurement visits to Guatemala and neighboring countries in such sectors as agriculture, cosmetics, food and beverages, and tourism, she said. The president also took the opportunity to thank Arzu for the congress passing a resolution in May supporting Taiwan’s participation in the World Health Assembly, the decision-making body of the World Health Organization, and the warm welcome she received while addressing the legislative body during her state trip in January 2017.